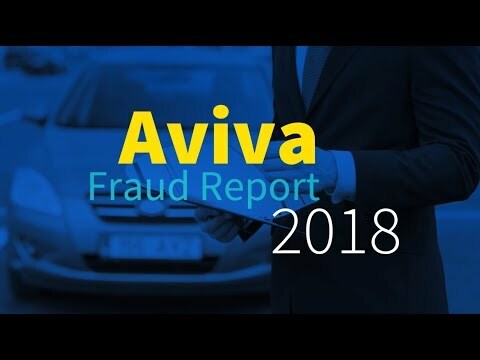 TORONTO, Dec. 4, 2018 /CNW/ - Ontarians, who pay among the highest auto insurance rates in the country ($1,428 per driver), are aware of insurance fraud and supportive of initiatives to fight it, according to the second annual Aviva Fraud Report, released today. "Dishonest claimants and service providers continue to cheat consumers. We are seeing a troubling and egregious form of fraud that includes the fraudulent sale and issuing of auto policies," said Colm Holmes, President and CEO, Aviva Canada. "We need to do better for honest drivers. That's why Aviva is fighting fraud. Honest drivers pay higher premiums because of criminal fraud. They know it. We know it. And the time has come to fight back." Undertook an undercover investigation called "Project Bumper" to highlight the extent of fraud by auto body shops and tow truck operators in Ontario. Issued an update to the undercover investigation codenamed "Project Duffy" into fraud carried out by healthcare professionals and a paralegal. Aviva Canada invests in positive change through the Aviva Community Fund, Canada's longest running online community funding competition. Since its inception in 2009, the Aviva Community Fund has awarded $9.5 million to over 400 charities and community groups nationwide. Aviva Canada, bringing over 300 years of good thinking and insurance solutions to Canadians from coast-to-coast. For more information, visit aviva.ca or Aviva Canada's blog, Twitter, Facebook and LinkedIn pages.